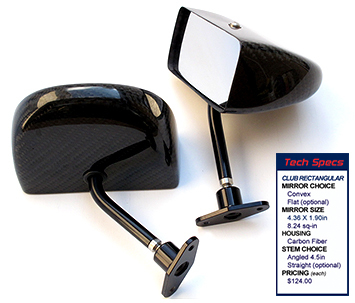 Many of the same features from the advanced Professional Series create the basis of our range of Club Series designs – lightweight carbon fiber housing, convex mirror lens, and strong 6061 CNC-milled aluminum mountings. 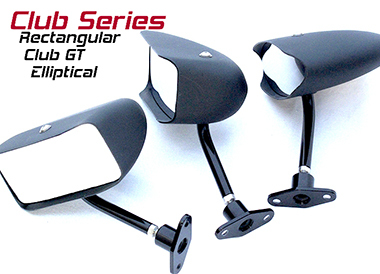 Club Series takes shape across three designs: Elliptical, Rectangular and Club GT. 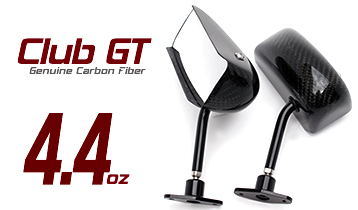 All three designs use a 3/8-inch round aluminum stem that has been polished and anodized. 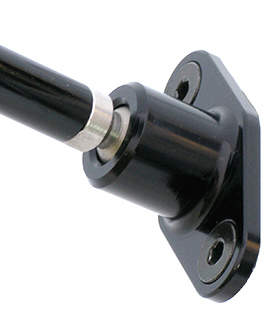 Standard stem is 4.5in and angled. 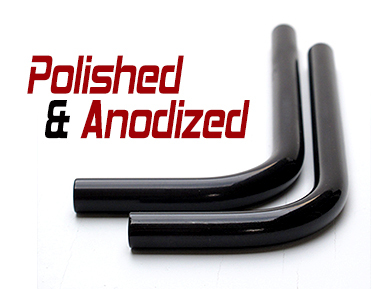 And, you can customize stem length, straight or angled, and degree of bend(s). 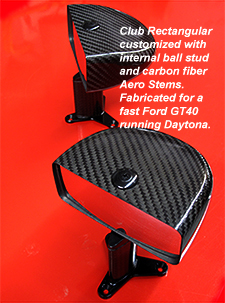 Contact us if you need something unique, and we'll fabricate the perfect stem to suit your application. 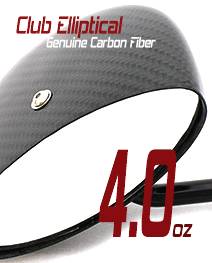 Club Series - in carbon fiber or plastic - easily adapts from Formula Vee to production to sedan and even vintage classes. They also look right on road-driving classic sports cars - MG, Datsun, Lotus, Caterham. 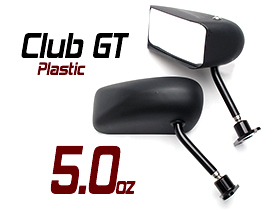 Club Elliptical mirror measures 1.75 x 4.45in for a total area of 6.0 sq-in. Available with a flat mirror or with a 17-in radius convex mirror (no distortion) to increase your field of view. 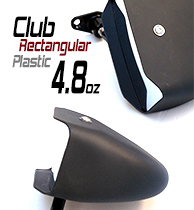 Club Rectangular and the entireClub Series is designed for easy repairs. A broken mirror can be replaced in a few minutes using our unique aluminum tab mounting system. No glue needed. 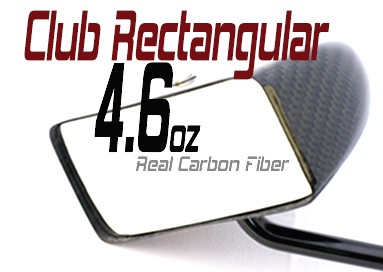 Club Rectangular and Club GT carry a mirror measuring 1.95 x 4.40 inches for a total area of 8.6 sq-in. Club GT is simply a classic design, and we've refined the look by extending the trailing edge to incorporate a few aerodynamic tricks to reduce overall drag. 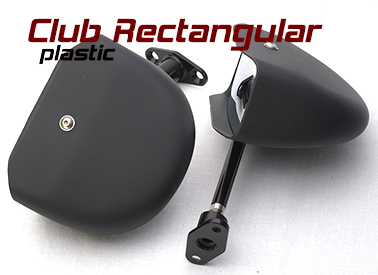 Club Series is available with a convex or flat mirror.